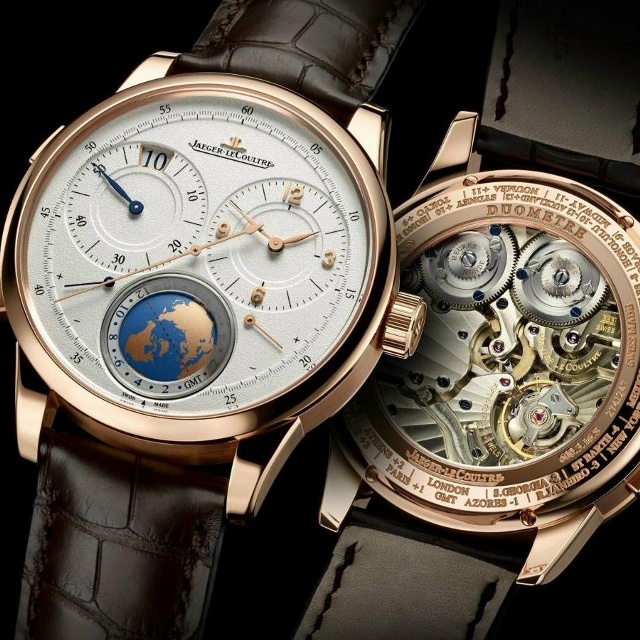 With this fresh rose gold unlimited edition of the previously released limited edition Jaeger-LeCoultre Duomètre Unique Travel Time watch the company expands its offerings for travellers. This model, you might recall, is the first worldtime watch enabling to-the-minute adjustment of the second time zone. This enables travellers to accurately set the second time zone on all continents and countries regardless of the time difference. 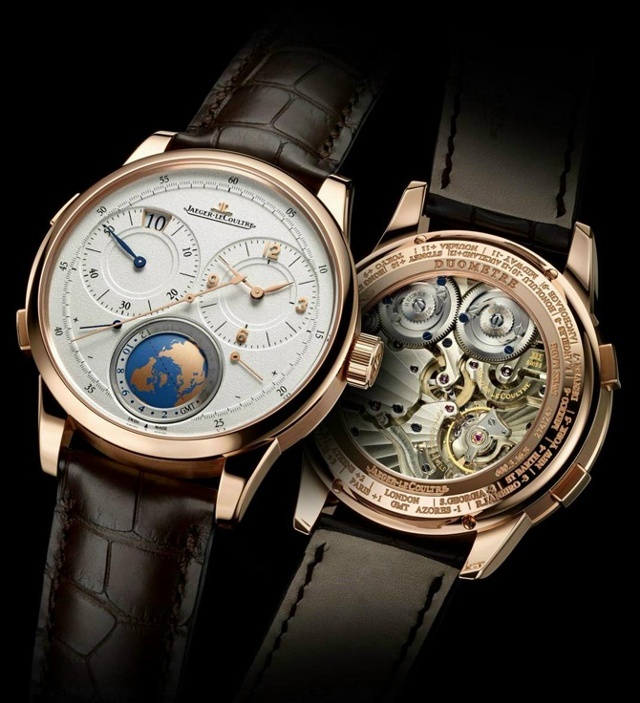 For the movement Jaeger LeCoultre divides the Dual-Wing system into two distinct mechanisms: the first is devoted to displaying the local time, and the second to showing that in a second time zone. The two mechanisms share the same regulating organ but each has its own independent source of energy, thereby avoiding the losses due to interaction between the mechanisms. The operation of the dual time-zone display does not in any way influence the running of the watch, a fact that considerably enhances the precision of the watch. 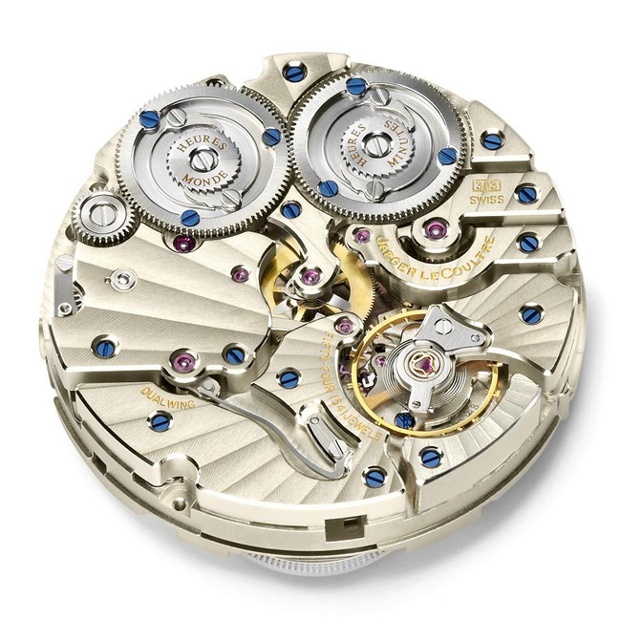 Each mechanism has a fifty-hour power reserve and the same crown serves to wound both barrels. The timekeeping barrel is wound by a counter-clockwise rotation, and the travel-time barrel by a clockwise rotation. Two symmetrically arranged subdials lend a balanced touch to the dial: the first subdial at 2 o’clock sets the stage for the hour and minute hand; while the second at 10 o’clock hosts the jumping hour and minutes of the travel time.